100% pure Whey protein isolate. Unflavoured. New improved formula, soy lecithin-free! It provides 28g of protein per serving. New 4Kg format! Whey protein isolate, new and improved formula with DigeZyme® and without soy, more proteins per serving! Whey Protein Isolate. It provides 21g of proteins per serving. New Christmas Special Edition! Apple Pie Flavor! Whey protein isolate. It provides 26.4g of proteins per serving. Available in several flavors. Whey protein isolate. It provides more than 24.8g of protein per serving. With probiotics. Whey Protein Isolate. It provides 21g of protein per serving. Gluten free. CFM protein isolate. Excellent aminogram and maximum bioavailability. Ultrafiltered whey protein isolate. It provides more than 23g of protein per serving. Whey protein isolate powder. It provides 30g of protein per serving. With vitamins. Whey protein isolate of a high biological value. Less than 1g of carbs and fat per serving. New version of Iso 100. Great protein with a good flavour! Totally recommend it! It does not produce any digestive problem, a quick transit protein that does not make you feel heavy or bloated at all. A quality product, I love the vanilla flavour, it does not feel artificial at all. Great protein for a great price. Cookies & cream has now become my favorite protein. The flavor is soooo good, I like to mix it with milk. Great isolate at a fair price. Where can I buy Whey Protein Isolate? HSN has a long catalog of Whey Protein Isolate products. Whey protein has the highest quality, it provides a high percentage of protein per serving and it has a very low amount of other types of nutrients like fats or carbs. 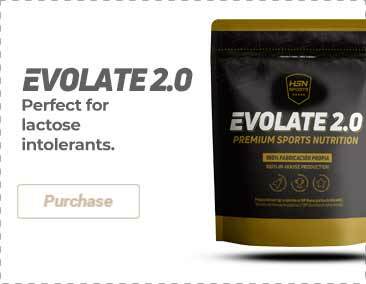 Evolate is available in two formats, 500g and 2kg, and in a wide range of delicious flavors. On the other hand, 100% WPI comes in 500g, 2kg, and 4kg with neutral flavor, it belongs to the HSNraw line. Both proteins have been made with a high quality raw ingredient. They do not have soy lecithin and they provide more than 26g of protein per serving. Moreover, Evolate 2.0 has a Digezyme® digestive enzymes complex that makes it easier to digest the protein. 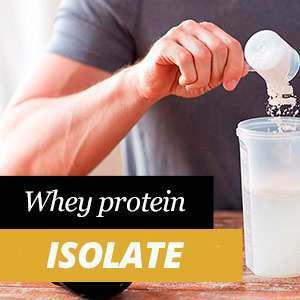 The term Whey Protein Isolate or its acronym WPI refer to the properties that this type of milk protein provides as a protein source to meet the nutritional requirements, especially of very active people, although they are a totally viable option for any nutritional plan.